In December 380 years ago, Harmen Myndersz van den Bogaert set out by foot for Mohawk country to reaffirm a beaver pelt relationship on behalf of the Dutch West India Company. He and his buds, Willem Thomassen and Jeronimus dela Croix, probably followed a path not far from Route 5S and eventually walked almost to Lake Ontario. In October, 106 years ago, the 1909 Model T rolled off the Piquette Avenue Plant line in Detroit. In October 8 years ago, a car ran down Alan Fairbanks, 72, while he was crossing Route 5S to continue cycling on the Mohawk-Hudson Bike-Hike Trail. Al died in hospital a month later. 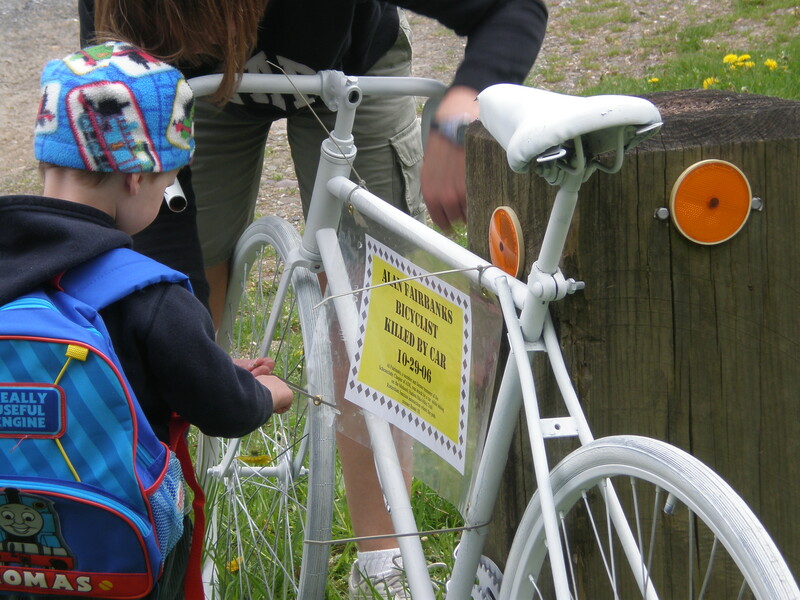 The photo shows his daughter and grandson setting up Al’s ghost bike. Al was an experienced cyclist. The precise nature of the collision was never clear. Those who know this highway-trail crossing will attest to its danger. A posted 55 mph would be a minimum. In both cases, although for different reasons, all these men were going about their business in the Mohawk River Valley. 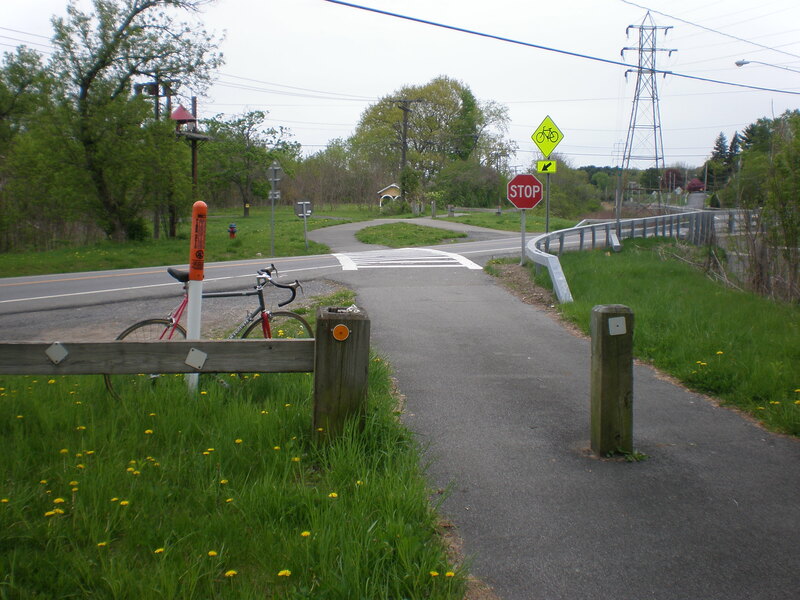 Today, April 1, 2014, the Albany Times Union reports plans to improve safety by altering the Mohawk Hudson Bike/Hike Trail that runs along this section of Route 5S. Schenectady County plans to spend $148,000 on the project. The County will realign the crossing of the roadway and slow trail (but not highway?) traffic as it approaches the crossing. It will include signs on the trail and roadway to alert travelers. Follow the Times Union link for photos and for information on the public hearing. So . . . whats’ the rush?